“BEN’S BEST” For our most discriminating hat buyer. How can you pass this up? 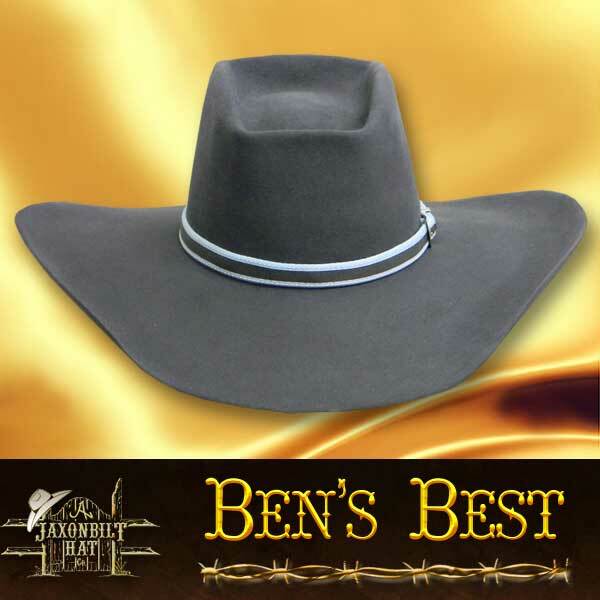 Ben’s Best is a hat with a traditional Australian “Bash”. The crown is styled in a fashion worn by many Out Back Cowboys and Cowgirls. This model is trimmed with a double bound crown band and a very nice 3 piece buckle set. Lots of choices, so you can have JB’s build your hat the way you want it. From traditional to Out Back, JAXONBILT has to be the choice for your next hat. Our conformer kit is a JAXONBILT exclusive. 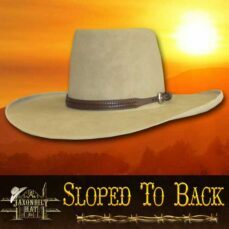 At Jaxonbilts all our Fur Felt Hats are custom made from start to finish by our masterhatters. Prices vary depending on your choice of fur quality, hat embellishments and styling options. We ensure a perfect fit when you order and return our FREE hat conformer kit. 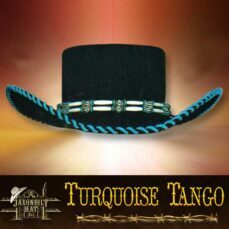 Custom Western hat designs are our passion, just browse through our western hat collections and fur felt color options for inspiration. Then give us a call we are happy to combine hat features such as brim, crown,and hat trim or even use your ideas to create the perfect Western hat to fit your style!